An article by André R. Brunoni and colleagues in the New England Journal of Medicine reports that transcranial direct current stimulation (tDCS) can treat unipolar depression more effectively than placebo, but not quite as effectively as the selective serotonin reuptake inhibitor (SSRI) antidepressant escitalopram. TDCS consists of a constant, low direct current applied to the scalp via electrodes. The study included 245 patients with moderate to severe depressive symptoms, many of whom also had anxiety disorders. To minimize the placebo effect, patients all participated in sessions wearing tDCS gear and received a daily pill. 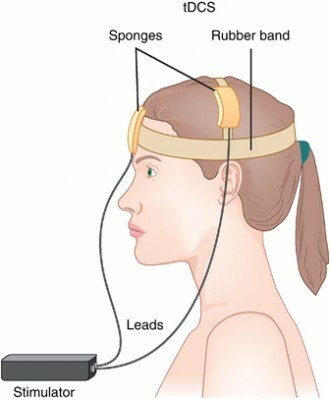 However, one group received real tDCS treatment but placebo pills, a second group received sham tDCS but real escitalopram pills, and the third group received both sham tDCS and placebo pills. The real tDCS treatment consisted of 30-minute sessions of tDCS every day for 15 consecutive weekdays, then seven once-a-week treatments. The escitalopram dosage was 10 mg/day for three weeks, then 20 mg daily. 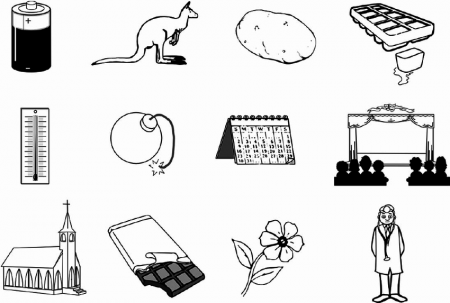 Ten weeks into treatment, those who received escitalopram showed the greatest improvement in depression. Those who received tDCS showed slightly less improvement, but still significantly more than those who received neither treatment. Cognitive performance either improved or stayed the same in all the groups. 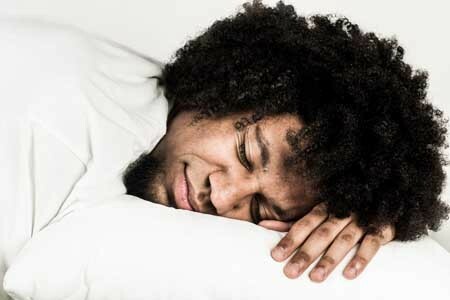 In terms of side effects, those who received escitalopram were more likely to report sleepiness or severe constipation. Those who received tDCS reported more skin redness/tingling, itching, tinnitus, and nervousness. Two patients in the tDCS group had new-onset mania during treatment. There were no suicides, hospitalizations, or other serious side effects. 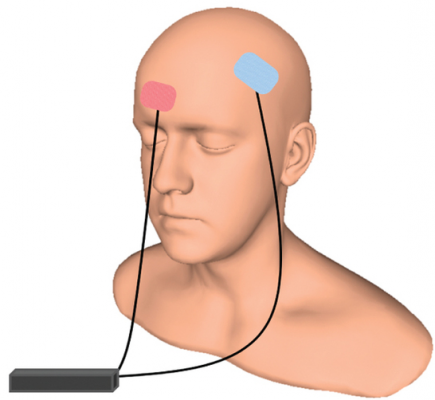 A new meta-analysis presented at the 2015 meeting of the Society of Biological Psychiatry has clarified the efficacy of transcranial direct current stimulation (tDCS) in major depression. 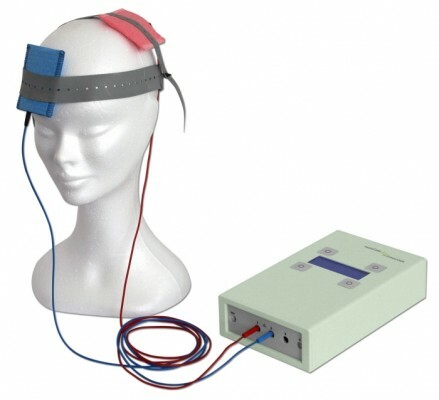 TDCS is a treatment in which electrodes deliver a steady low level of electrical stimulation to the brain. The meta-analysis presented by Andre Brunoni and colleagues used individual patient data from six recent studies comparing tDCS treatment to a sham treatment, totaling 289 patients. TDCS treatment was superior to the sham control in terms of antidepressant response (34% to 19%), remission rates (23.1% to 12.7%), and improvement in depression. 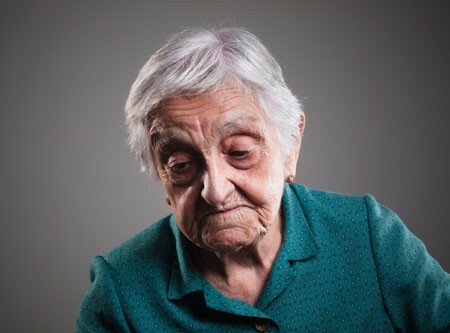 After adjusting for confounding factors, the researchers found that patients who had failed to respond to previous treatments were less likely to respond well to tDCS than other patients. They also found that higher doses of tDCS (in terms of current density, duration, and number of sessions) predicted a better response than lower doses.